Which Four Poster Bed is Best For You? 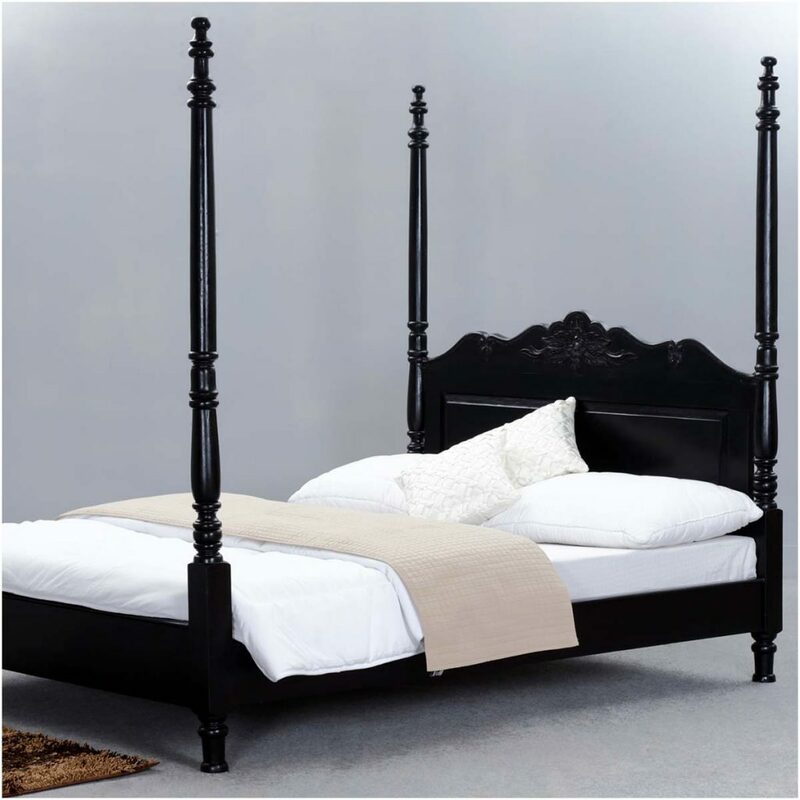 Home Bedroom Furniture Which Four Poster Bed is Best For You? 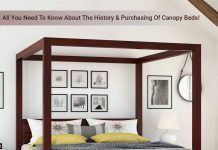 Four poster beds and canopy beds have been in fashion for hundreds of years. Styles change with the times, and today we have everything from traditional four poster beds to square, modern platforms with canopies. Details can be rustic or refined, hand carved or sleek. 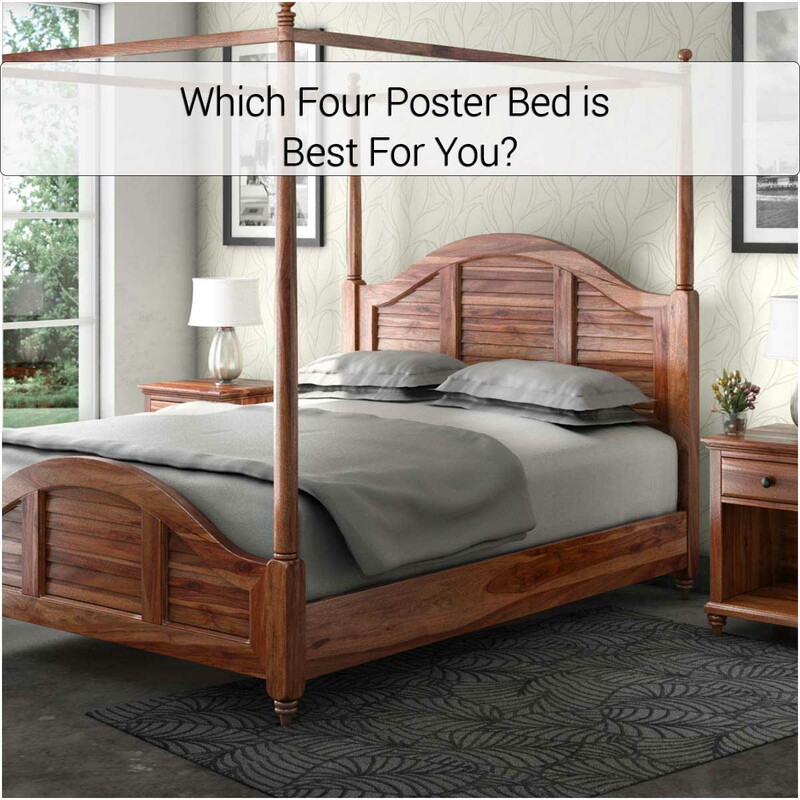 How do you determine what your Four Poster Bed style is? Traditional Four Poster Beds look perfectly dressed with cozy layers of bedding - lots of pillows, a thick decorative comforter, and a coordinating bedskirt. 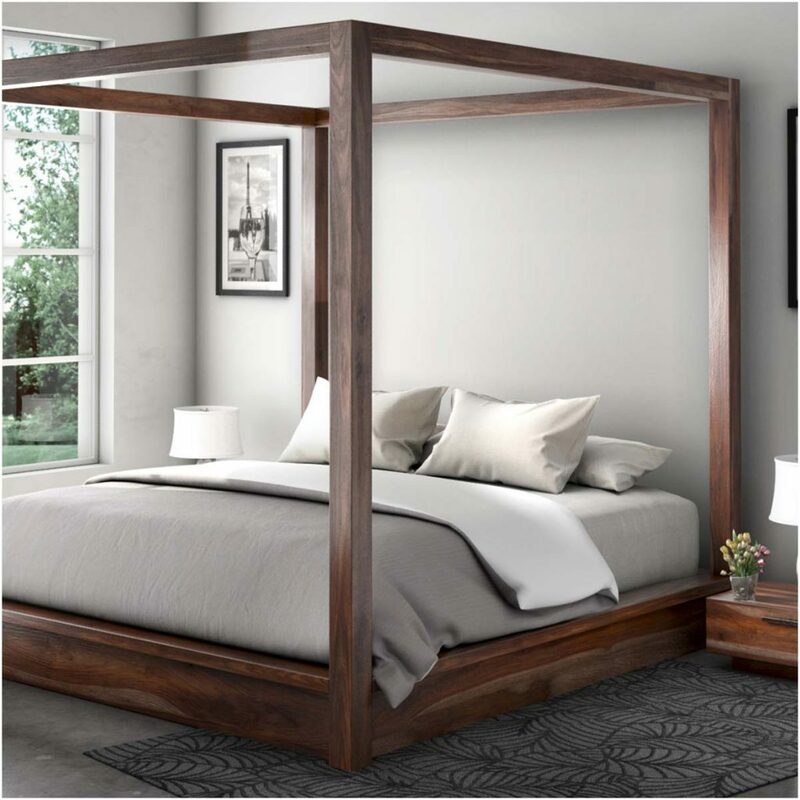 A Modern Canopy Bed is based on the old post-and-canopy design. However, they've been restyled for a sleek, modern interior. Posts may be taller, thicker and very plain. The canopy supports may also be thicker, resulting in a cube-like design. A lot of people who love a modern style bed don't hang any curtains at all, preferring a Minimalist look. But in Resort interiors, many Modern Canopy Beds are still hung with linen or canvas curtains for the ultimate tropical retreat. 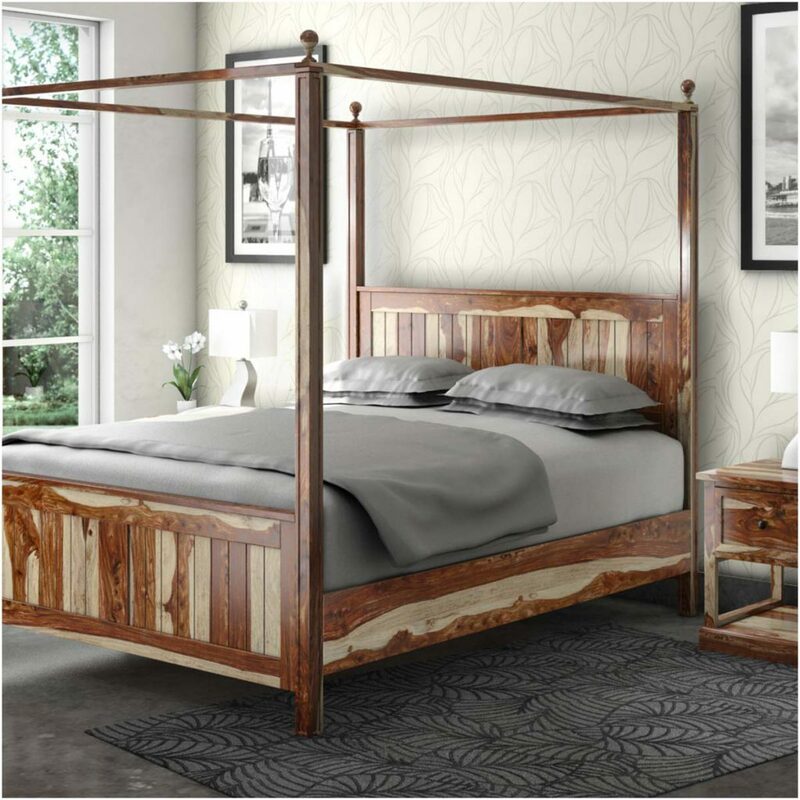 If you like a layered, lived-in look in your home but want to keep things casual, a rustic Farmhouse Four Poster Bed might be perfect for your master bedroom. Dress it in a Shabby Chic look with soft white bedding and a few cabbage roses. In winter, bring in layers of quilts and a wool plaid blanket for extra coziness. 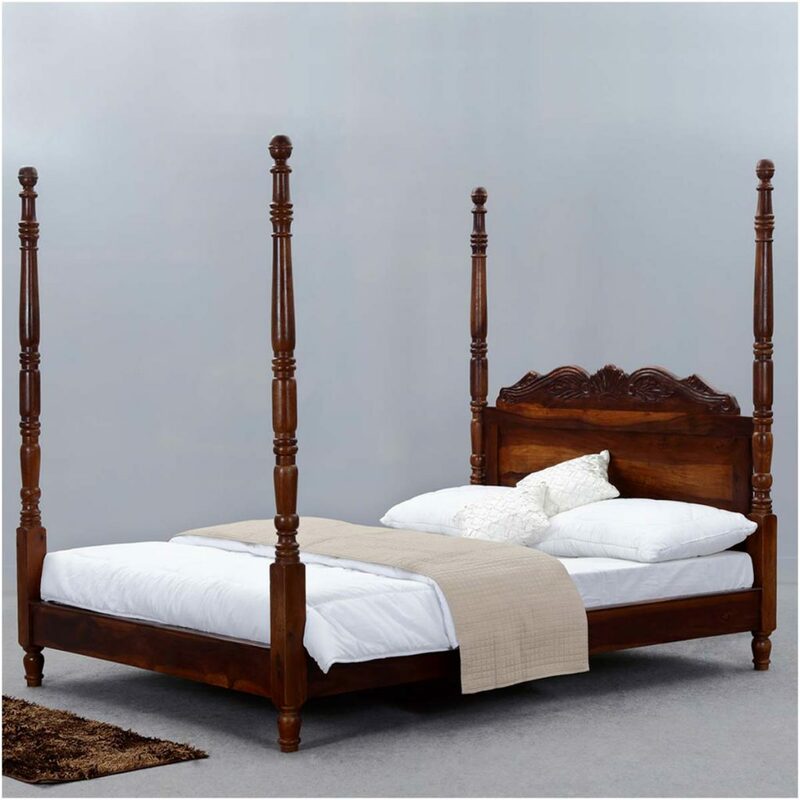 If you're a traditional type who likes finer furniture, you'll probably enjoy the deep wood tones and carvings of an English Country Four Poster Bed. You'll want to dress it up with a beautiful duvet and pillow shams. Mix different fabrics according to the seasons. Deep, rich colors and traditional patterns such as paisley and ticking stripes look wonderful. Or, go with a lighter British Colonial look - just a simple coverlet and some tropical print pillows. Anyone who loves over-the-top décor is definitely going to want a Traditional Canopy Four Poster Bed, so they can have curtains and a bed valance, bedskirt and all the trimmings. 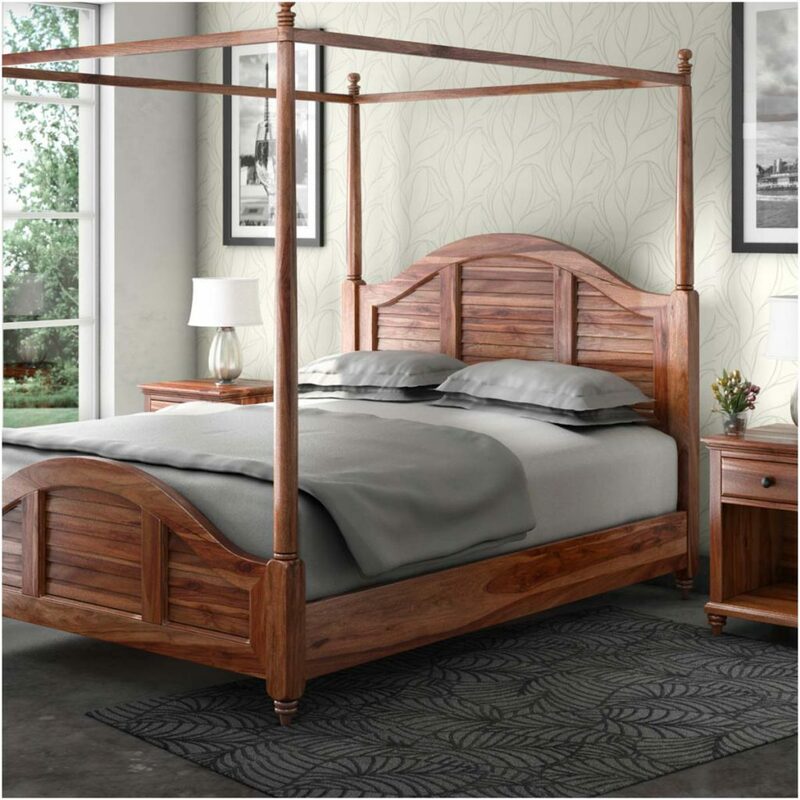 Canopy Beds are popular in historic homes where people like rooms to resemble the past. 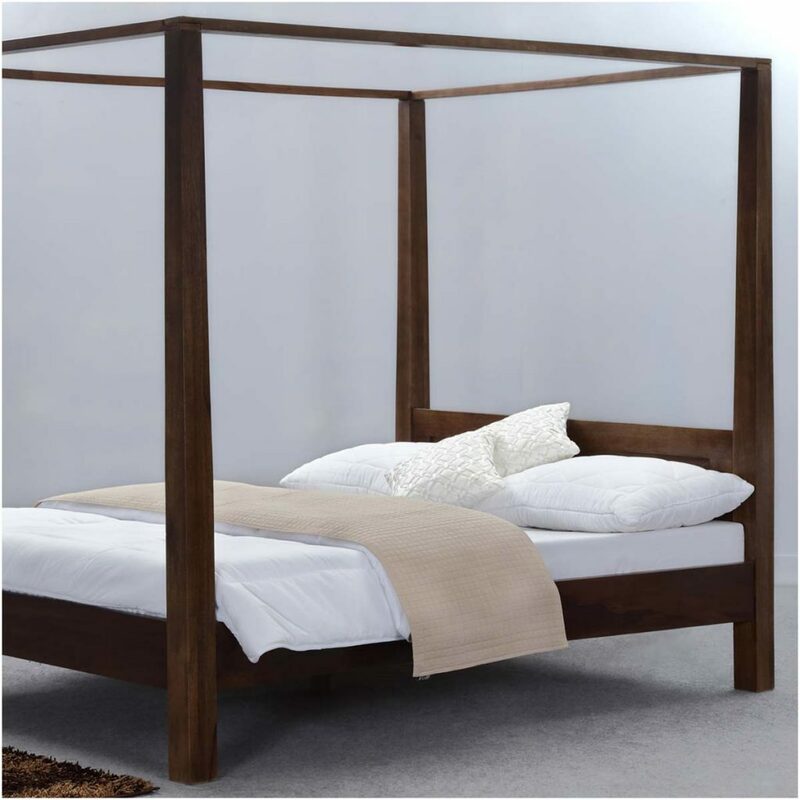 If that's too much for you, you might be happiest with a minimalist Modern Canopy Bed. Plain bedding and a simple linen drape over the top and sides of the bed accentuate the square shape. 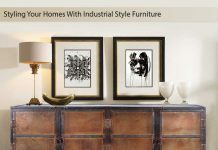 Or, keep that sleek frame uncluttered and enjoy the simple square shape that creates a room-within-a-room. 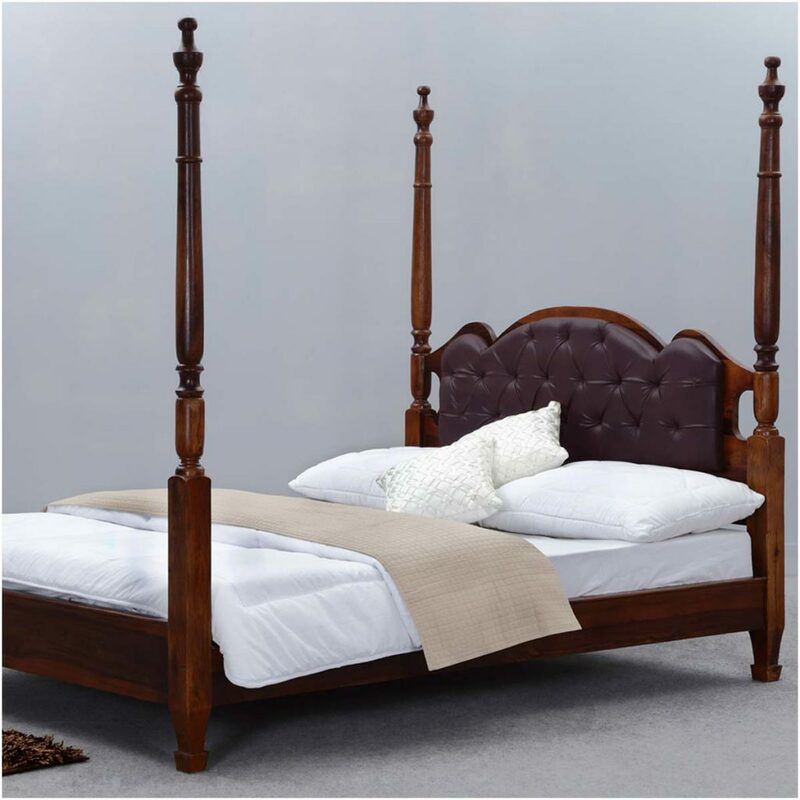 Whatever your style, a distinctive Four Poster Bed is designed to last a lifetime, and works with many different types of interiors with just a change of bedding.